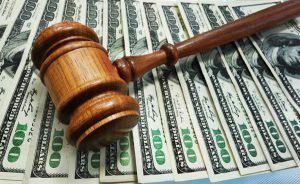 Lawyers representing brokers argue that FINRA arbitration panels are the proper place for dispute resolution and are the required forum under the industry-sponsored regulator’s own rules. Credit Suisse and some other broker-dealers prefers to bring employee disputes before private forums such as JAMS (formerly the Judicial Arbitration and Mediation Services) or the American Arbitration Association. In Texas…another lawyer representing 15 former Credit Suisse advisors said his clients also have tired of waiting for FINRA.“I’ve filed six suits, three in Houston and three in Dallas, to have my clients’ disputes resolved exclusively through a FINRA arbitration because it doesn’t look like FINRA is going to act on this anytime soon,” said Rogge Dunn, an employment lawyer at Clouse Dunn in Dallas. His clients now work at UBS, Merrill Lynch and even Wells Fargo Advisors, he said.